Born in the Swiss Jura Mountains in 1833, Jacques LeCoultre was a leading supplier of watch parts and movements to many of the biggest Swiss Watchmakers such as Vacheron, Audemars, IWC, and Patek. When LeCoultre joined forces with Edmund Jaeger, the company went a whole new direction. They introduced their own line of watches – manufactured completely in-house. And to this day, Jaeger-LeCoultre is one of the few companies in Switzerland that still produces its own movements, cases, dials, hands, and bracelets. Virtually every single component in a Jaeger-LeCoultre watch is hand-finished, produced in-house. In 1844, Antoine LeCoultre invented the millionometer, allowing measurements to the nearest micron. In 1847, he invented the first crown winding system, eliminating the need for a winding key. The world's thinnest pocket watch movement, at a mere 1.38 mm, was invented by the company in 1903 and still holds the record. 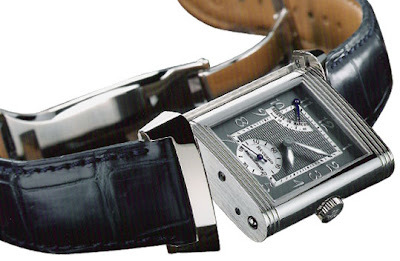 The company's featured item is the Reverso, a wristwatch that has a swivel case. It was first introduced in 1931. Future versions of this design would feature the time of one time zone on one side and time in another zone on the reverse. In 1953, the first automatic alarm wristwatch was invented by LeCoultre. The most noted and distinguishable model for Jaeger LeCoultre is the 'Reverso'. Furthermore, Jaeger recently came out with their 'Master Control' series. These round watches come in a variety of complications. Their size is large compared to the rest of the line, so it really appeals to gentleman looking for something between a Patek and a Breitling. For women, Jaeger has many different Reverse's with numerous diamond combinations. Jaeger is in the same league on a re-sale basis as AP, Vacheron, and IWC.